THE response to Donald Trump's explosive Twitter threat against Iran has been swift and alarming, but at least social media is able to find the humour in it. Users of the US President's favourite platform rushed to parody his blistering late-night attack on Iranian president Hassan Rouhani. Many highlighted the hyperbole of Mr Trump's all-capitals tweet by applying it to mundane, everyday scenarios. To McDonalds drive through worker: NEVER, EVER PUT MUSTARD ON MY BIG MAC AGAIN OR YOU WILL SUFFER CONSEQUENCES THE LIKES OF WHICH FEW THROUGHOUT HISTORY HAVE EVER SUFFERED BEFORE. WE ARE NO LONGER A COUNTRY THAT WILL STAND FOR YOUR DEMENTED MISHANDLING OF MY ORDER. BE CAUTIOUS! NEVER, EVER LEAVE THREE WEEK OLD YOGURT IN THE FRIDGE AGAIN OR YOU WILL SUFFER CONSEQUENCES THE LIKES OF WHICH FEW THROUGHOUT HISTORY HAVE EVER SUFFERED BEFORE. WE ARE NO LONGER A COUNTRY THAT WILL STAND FOR YOUR FEMENTED FOODS OF VIOLENCE & DEATH. BE CAUTIOUS! To the makers of Shapes: NEVER, EVER THREATEN THE RECIPE AGAIN OR YOU WILL SUFFER THE CONSEQUENCES THE LIKES OF WHICH FEW THROUGHOUT HISTORY HAVE EVER SUFFERED BEFORE. WE ARE NO LONGER A COUNTRY THAT WILL STAND FOR YOUR DEMENTED NEW AND IMPROVED RECIPES. BE CAUTIOUS! To the @NRL: NEVER, EVER THREATEN THE ORIGIN FORMAT AGAIN OR YOU WILL SUFFER CONSEQUENCES THE LIKES OF WHICH FEW THROUGHOUT HISTORY HAVE EVER SUFFERED BEFORE. WE ARE NO LONGER A STATE THAT WILL STAND FOR YOUR DEMENTED WORDS. BE CAUTIOUS! As the meme spread, one user found the perfect photo to help us imagine Mr Trump screaming the words in real life. Others were more straightforward in their criticism, questioning why it was necessary for the President to tweet in capitals - and whether the vicious response was appropriate for someone in his position. Many wondered at the choice of platform to send the message: Twitter is banned in Iran. One of the biggest threats to national security in the past 2 years has been increasing the character limit from 140 to 280. 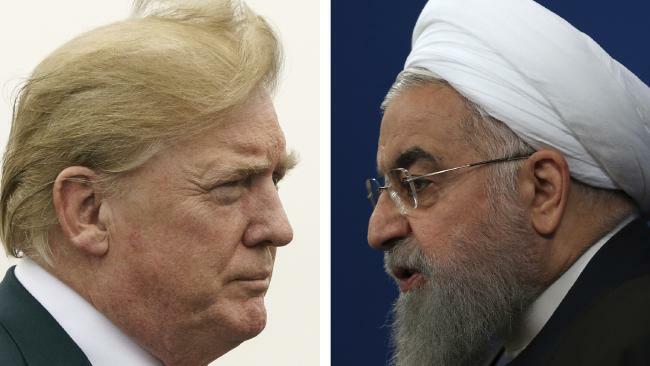 Mr Trump's furious tirade came after Mr Rouhani warned the US via the country's state media that the "mother of all wars" would take place if the nation maintained its hostilities towards Iran. "Mr Trump, don't play with the lion's tail, this would only lead to regret," said the Iranian president, scoffing at the threat to halt oil exports. "America should know that peace with Iran is the mother of all peace, and war with Iran is the mother of all wars." Despite the jokes, there may be serious consequences to the US President's vicious response. A top commander in Iran's Revolutionary Guards said his words amounted to "psychological warfare". Gholamhossein Gheybparvar said America wants to "destroy Iran," but Mr Trump "cannot do a damn thing," Reuters reported, citing Iranian news agency ISNA. "We will never abandon our revolutionary beliefs," Mr Gheybparvar added. "We will resist pressure from enemies." Meanwhile, senior White House officials scrambled to excuse the President's latest outburst. "If anybody's inciting anything, look no further than to Iran," press secretary Sarah Sanders told reporters. She declined to say whether Mr Trump had consulted with his aides before posting the tweet, but added: "The President consults with his national security team on a daily basis." National security adviser John Bolton backed his position, saying he had spoken with Mr Trump about Iran over the past few days. "President Trump told me that if Iran does anything at all to the negative, they will pay a price like few countries have ever paid before," he said. Secretary of state Mike Pompeo, who on Sunday compared the Iranian government to the "mafia", attempted to assuage the concerns of ordinary citizens. "To our Iranian-American and Iranian friends: The Trump Administration dreams the same dreams for the people of #Iran as you do, and through our labors and God's providence they will one day come true," he tweeted. Israeli prime minister Benjamin Netanyahu praised the President's "strong stance" after years in which the Iranian "regime was pampered by world powers." 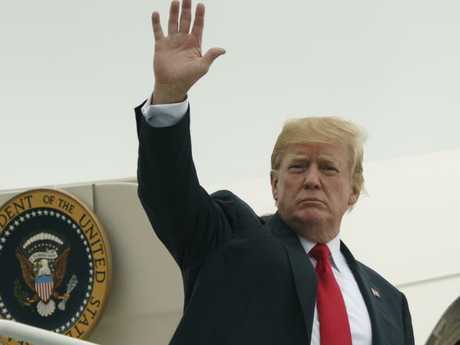 In May, Mr Trump stepped back from Barack Obama's Iran nuclear deal, which restricted Tehran's nuclear ambitions in exchange for lifting international oil and financial sanctions. It was the concern that sanctions could be reinstated that led to Mr Rouhani's warning. 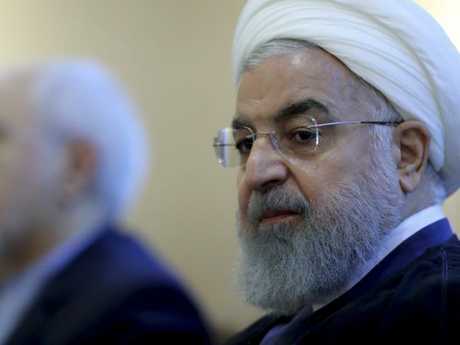 He has accused the US of stoking an "economic war" and suggested Iran could immediately ramp up its production of uranium in response, escalating the nuclear threat. The European Union, Germany, Britain, France, Russia and China have reaffirmed their support for the deal and have been working to try and keep Iran on board. "Iran is angry since Trump responded to Tehran's engagement diplomacy by pulling the U.S. out of the nuclear deal," Iranian politician Heshmatollah Falahatpisheh told the AP. He said the war of words between the two presidents was to be expected, since official diplomatic relations between the two countries have been frozen for decades. "They express themselves through speeches since diplomatic channels are closed," he said. To Karen: NEVER, EVER FORGET TO REPLACE THE INK IN THE PRINTER AGAIN OR YOU WILL SUFFER CONSEQUENCES THE LIKES OF WHICH FEW THROUGHOUT HISTORY HAVE EVER SUFFERED BEFORE. WE ARE NO LONGER A COMPANY THAT WILL STAND FOR YOUR FORGETFULNESS & BAD HAIR. BE CAUTIOUS!